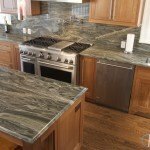 The swirls and veins of Iguana Green granite make it a bold choice for any kitchen. 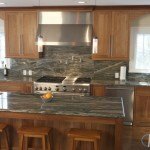 In this kitchen, the granite continues as a back splash behind the stove and sink to further enhance the theme. 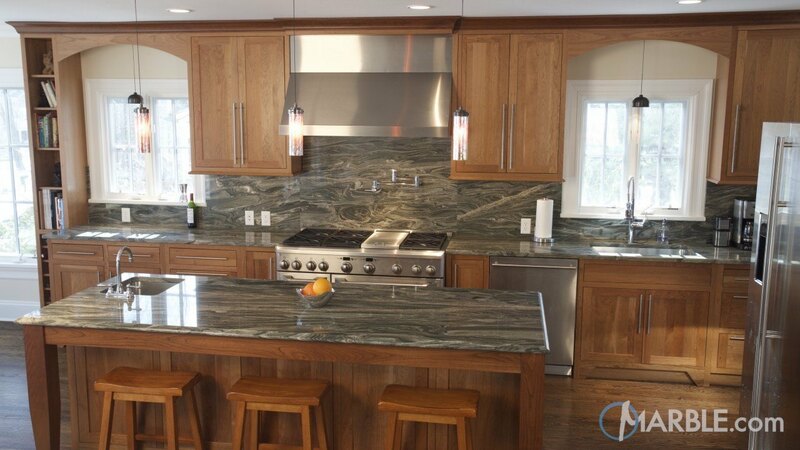 A 1/4 Round Edge near the windows and wall allow the granite to blend in, while the Ogee Edge on the island adds a touch of sophistication. Wooden floors and cabinets with modern hardware finish off the room.